Terrascope is a program in which freshmen at the Massachusetts Institute of Technology (MIT) learn how to work in teams to solve and communicate about complex problems, particularly problems with environmental implications. Every year the program focuses on a particular topic, and for the 2015-16 academic year the topic was food security and agriculture. 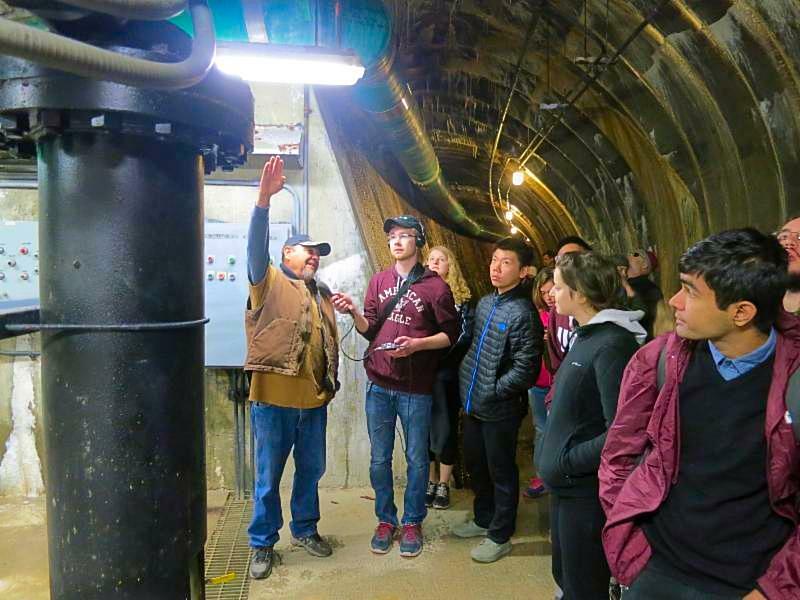 As part of the program, students, faculty and staff go on a field trip over spring break to some area relevant to the year's topic; this year a group of about 30 Terrascopers visited New Mexico and the Navajo Nation. The trip was a real success, due in no small part to the efforts of Pilar Trujillo of the New Mexico Acequia Association. In planning the trip it was important to us to see a wide variety of agricultural practices and communities, ranging from ancient to modern, from small-scale to industrial, from organic to conventional. 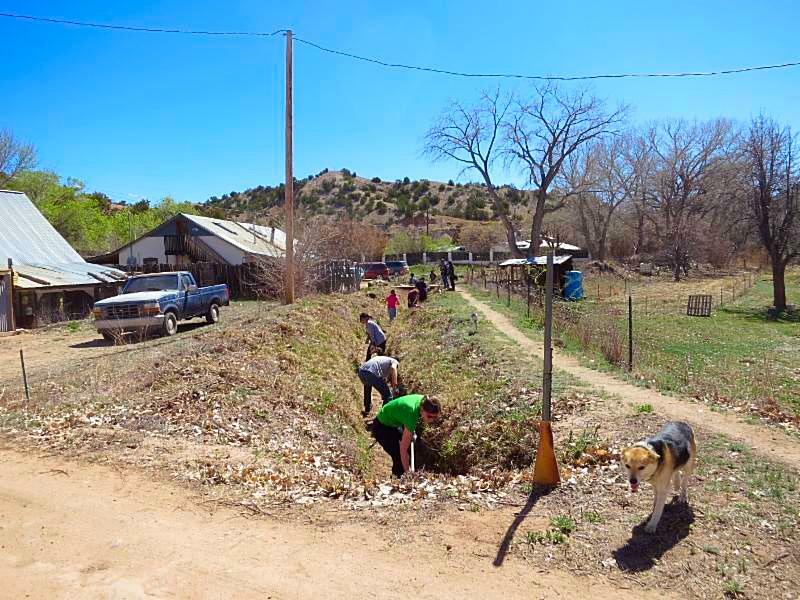 We felt that acequia-based agriculture, both because of its long historical roots and because of its unique social and legal status and background, was something crucial for our students (and us) to understand. Pilar arranged a series of visits for us and graciously accompanied us on them, providing information and context along the way. Our acequia-related itinerary included stops at Sostenga Farm in Espanola, at the Santa Cruz Dam, and at El Rincon Farm in Chimayo. 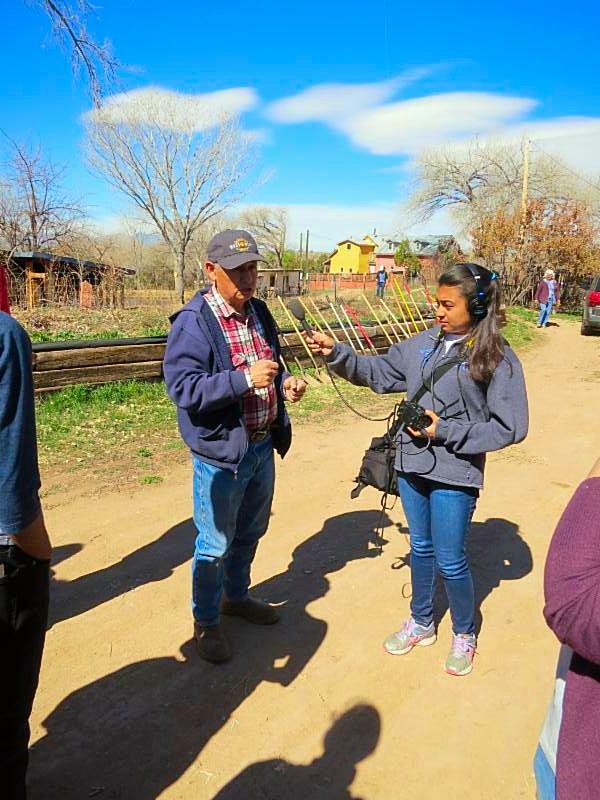 Pilar also arranged a visit for us with Gilbert Naranjo, an elder from the Santa Clara Pueblo, and she connected us with Travis McKenzie of Cornelio Candelaria Organics, just outside Albuquerque, where we later had a chance to learn about small-scale organic farming in an urban setting. The visit to Sostenga Farm gave our students an important chance to meet farm trainees and instructors, and to learn about the priorities and values that have led them to build their lives around this style of farming. That personal contact, and the oportunity to see operations up close, made a strong impression on our students. The stop at Santa Cruz Dam was crucial to our visit, for a number of reasons. Certainly it was important for us to see, physically, the source of water for this acequia system, but even more important were explanations of the history, traditions, legal status and social importance of acequias, which were provided by Pilar and by Mayordomo Charlie Esquibel. It was here that we and our students first got a sense of how acequias shape–and are shaped by–not only farming practices but also the communities and families that depend on them. But the highlight of this part of our trip–and indeed, one of the major highlights of our entire 9-day visit to New Mexico, was the time we spent at El Rincon Farm, the Trujillos' own family farm. Pilar's father, Teodoro Trujillo, gave us a quick lesson in how acequias are cleared and maintained, and then he gave us the chance to get our hands dirty for a couple of hours by clearing a small section of acequia serving this farm, in a small-scale simulation of traditional spring maintenance work. During and after this work, the Trujillo family explained the operation of the farm, their own family traditions and some of the history of the region. I think one of the strongest impressions our students got from these few days was that farming, in this part of New Mexico, is about more than even the crucial process of providing food. It is also about community, about identity, and about maintaining a historical link between the past and the future. We came to see that acequias are more than just irrigation ditches, that they in some ways represent an alternative system of communal governance, and that they also provide a crucial exception to much of the rest of Western water law and practice, which view water as a commodity, legally and financially separable from the land and its people. The section on acequias runs from 10:50 to 17:10 of the program, but I recommend listening to the entire story, for the best possible sense of what exactly our students have learned from the experience, and the context of our visit. I would be grateful for any comments or questions you may have; you can reach me at awe@mit.edu. I would also like again to express the gratitude of the entire Terrascope program to Pilar and the NMAA, for providing such a warm welcome and for all the work and time involved in making our visit a success.